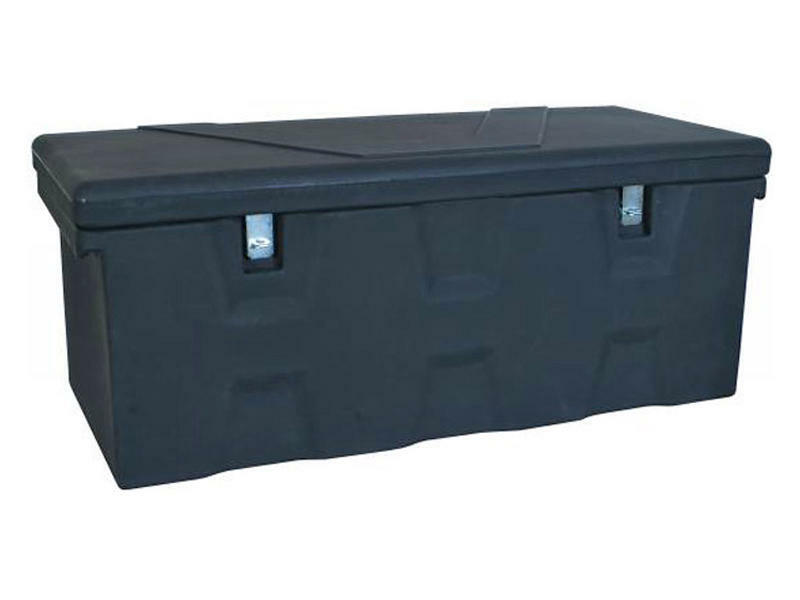 Large capacity, low profile all-purpose polymer chest constructed of heavy duty molded high-density black polyethylene material. Top opening lid with 2 zinc plated hasps. Mount to floor of pickup bed, trailer garages, etc. Mount to floor of pickup bed, trailer, garages, etc.